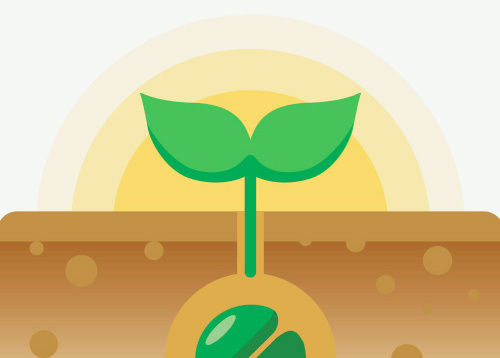 It took 6 days to germinate in Soil. First 2 Days i had this Plant at my window but she got tall. 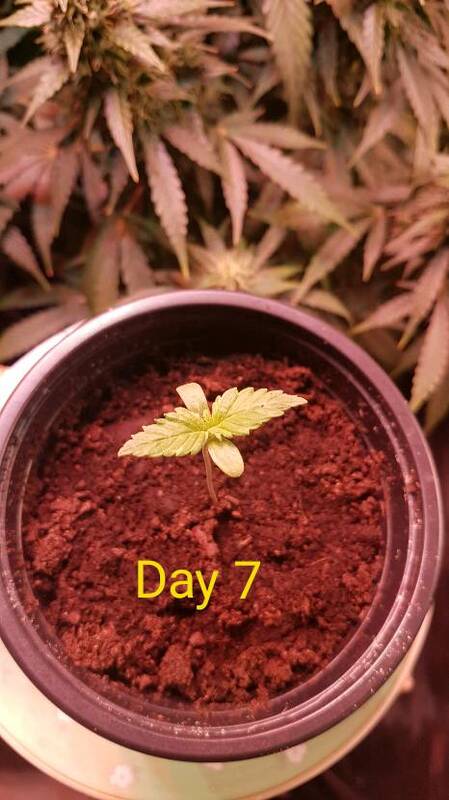 So I decided to put her in tent for the next 3 Weeks. 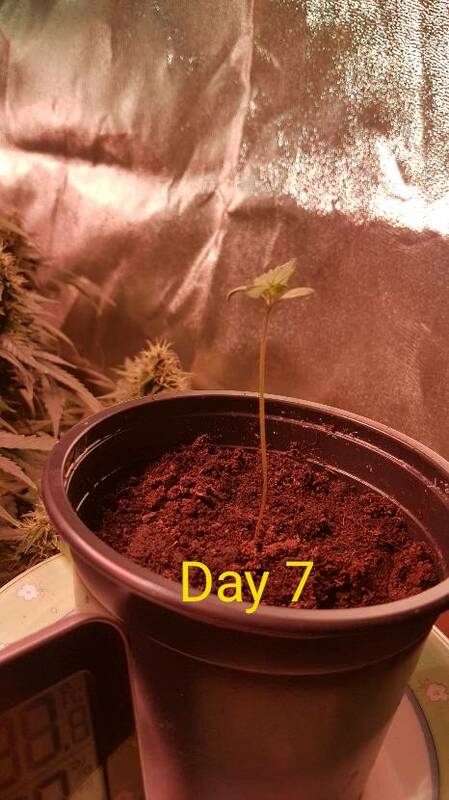 As you can see on photos she is about 8cm tall after 6 days. I hope she stops gaining height. I only used Root Juice once by now.